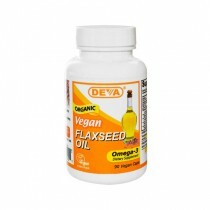 If you are looking for something to help improve the health of your hair and nails, Flaxseed Oils have been used for thousands of years to provide various health benefits. If you need something to help relieve skin redness or irritation you might try our selection of Buckthorn Seed Oils. These oils contain properties that rejuvenate and soothe irritated skin. If you're in need of heart health supplements, Omega-3 Oils are a great place to start. Omega-3 supplements (vegatable oils and other supplements like Flaxseed Oil) can lower heightened triglyceride levels and in turn reduce your risk for heart disease. Omega-3 supplements can also help reduce arthritic stiffness and are believed to be important for early infant development. If you're of the feminine persuasion, we also have a great selection of Primrose Oils which contain GLA (Gamma-Linolenic Acid) and other properties that are used to promote women's health.